START ON SITE 2019 FOR TUEBROOK GEM, LISTER DRIVE, LIVERPOOL. 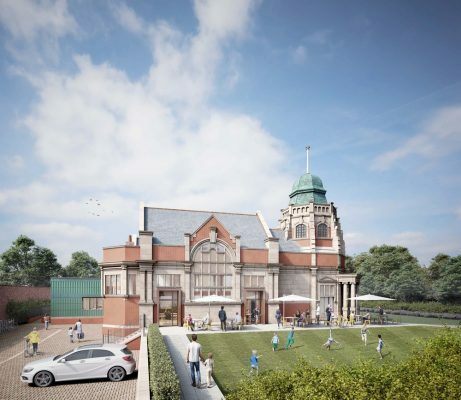 Work to transform the Grade II listed Andrew Carnegie Library in the Tuebrook area of Liverpool will commence at the beginning of 2019. The building, now in a state of disrepair, will be transformed into a new community hub offering childcare, rentable meeting space, hotdesking, heritage activities, an events venue and a wide range of training and volunteering opportunities for local people. 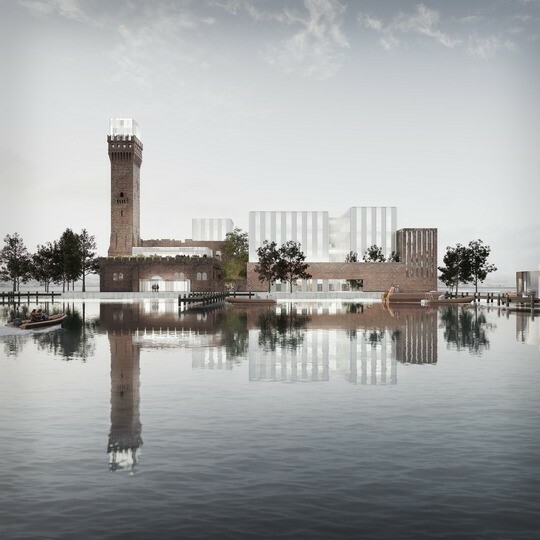 The OMI Architects designed project can go ahead with thanks to the generosity of National Lottery players, with £3.9 million from The Heritage Lottery Fund in 2016, the project has also received financial support from Liverpool City Council, The Hemby Trust, Eleanor Rathbone foundation, Key Fund and Power to Change. Tenders are currently being sought from contractors, with an expected start on site early in the new year. The local Tuebrook community is the reason for the building’s existence and the library was still in active use until 2004. 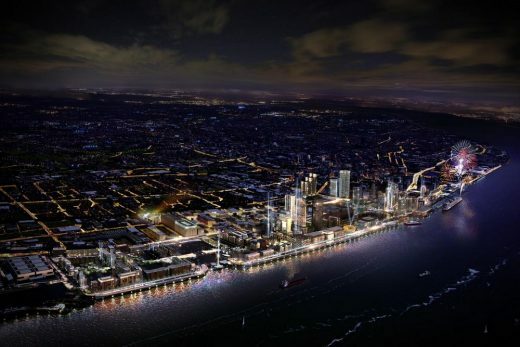 The local community will continue to be essential to the future of the building’s success. A recent re-launch event saw large numbers of the local community visit the building to see the plans for the future. The project aims to be the spark that ignites the regeneration of the wider area. By providing opportunities for people to socialise, learn and participate Lister Steps will support the wellbeing and development of individuals, groups and local enterprise. 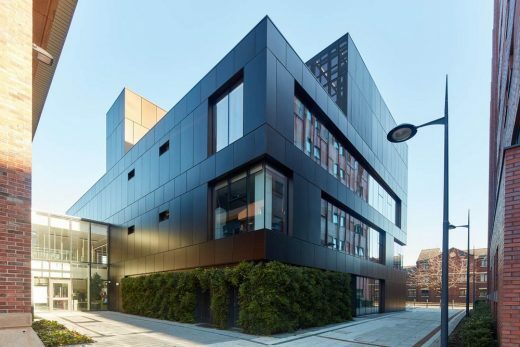 The transformation places a series of insertions within the volume of the existing reading rooms to create the subdivisions necessary for the diverse range of proposed uses, whilst retaining the original characteristics of the spaces. The Grade II listed Andrew Carnegie Library designed by Thomas Shelmerdine, was built in 1904 as a direct result of a donation from the wealthy industrialist and Philanthropist, Andrew Carnegie. 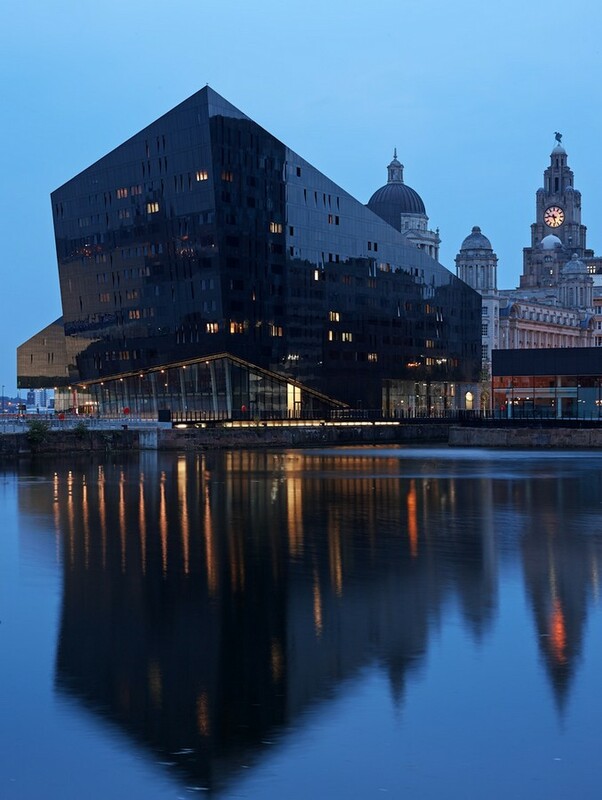 The library was built to provide opportunity for a disadvantaged local population – Carnegie himself offering the money to Liverpool to further their aspirations to improve the education of its inhabitants. 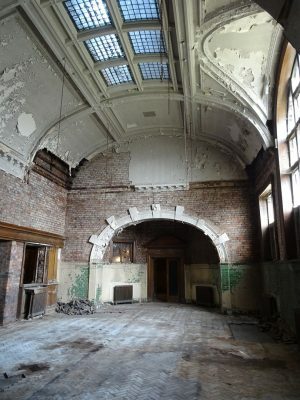 After a 100 year life as a functioning library, the building, having been underfunded for a significant period, had to be closed following health and safety concerns. 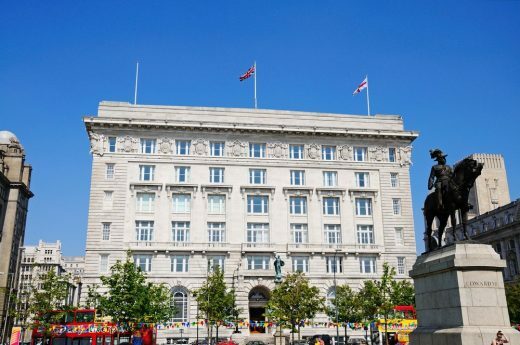 Unoccupied, the building has been subject to theft, vandalism and neglect and is listed on Liverpool’s ‘Buildings at Risk’ register. 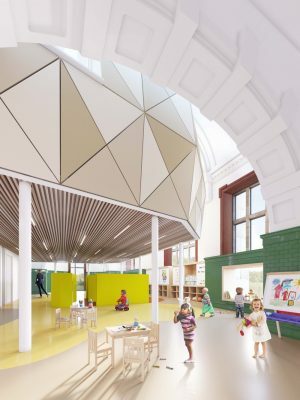 Lister Steps, a local charity who provide childcare facilities in a neighbouring temporary building plan to bring the Library back into use, to continue the legacy of philanthropy and education, offering opportunity to a new local population. 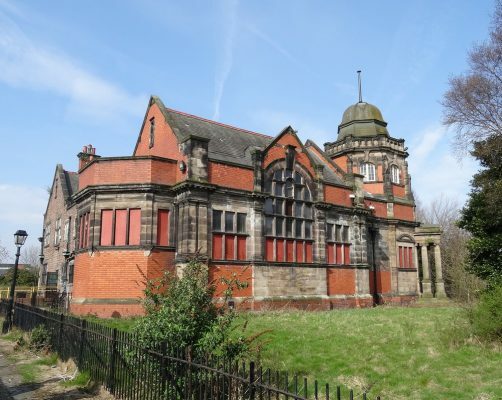 The aim of the project is to refurbish and re-model the Grade II former Andrew Carnegie Library to provide much needed community services to the neighbourhoods of Tuebrook and Old Swan. 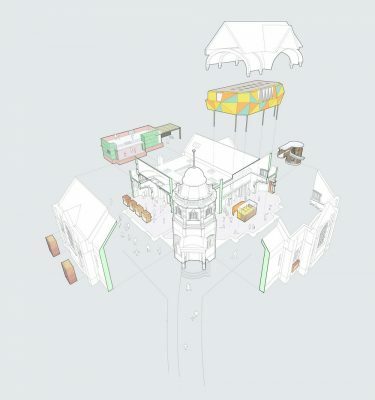 The ‘Old Library’ will act as a focus for community activity, providing a wide range of functions to extend Lister Steps current activity. OMI Architects has been around since 1993. The architecture firm is one of the leading design-led practices in the North West. Architect Directors, McCall, James, Berry and O’Dwyer head up the practice’s 18 strong team of architects and graduates, all of whom are based in the former ‘Manchester Baths’, a RIBA Award-winning conversion of a Victorian swimming pool, where OMI has created a number of studios for the creative industries. Lister Steps was founded by local residents in 1997 in response to identified need for community services including childcare in the Tuebrook, Liverpool 13 area of Merseyside. Lister Steps charitable vision is to be the spark that makes Tuebrook better, creating positive impacts that are felt by local people, businesses and others beyond the Tuebrook boundaries. Heritage Lottery Fund – Thanks to National Lottery players, we invest money to help people across the UK explore, enjoy and protect the heritage they care about – from the archaeology under our feet to the historic parks and buildings we love, from precious memories and collections to rare wildlife. www.hlf.org.uk @heritagelottery. 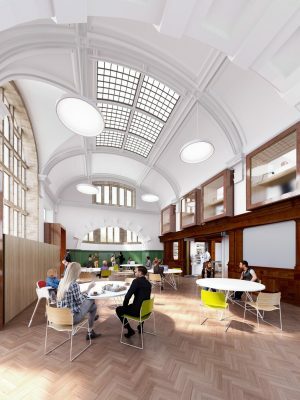 OMI Architects were appointed as Architects for the repair and conversion of the Grade II listed former library in the Tuebrook area of Liverpool in September 2015. OMI Architects’ team, including Alan Gardner (Historic Building Surveyor) of Arcadis and Landscape Architects, Camlin Lonsdale were selected following an open two stage procurement process resulting in a shortlist of Architects including Halsall Lloyd Partnership, Purcell, Harrison Stringfellow and Griffiths Thompson Partnership.